Move forward with School Plus mobile app. It connects your School community anywhere and anytime. School Plus mobile app is beautiful, affordable and available for both iOS and Android devices. It is an admin-intensive school app and offers an extended smart school experience. Responsive Design: Responsive layout offers enhanced user experience for all desktop, laptop, tablet and smartphone users. Simple navigation, easy browsing, minimized re-sizing, minimal scrolling and amazing clarity make School Plus very unique. Consolidated dashboard: The consolidated dashboard offers complete picture of the most relevant data, without the chance of missing any significant data and different for students, parents, teachers and admin. In this digital world every organization want to digitalized, then why not the education industry. Especially the school are facing problem when it comes to huge number of data. So BseTec made a survey on how schools are facing issues while manipulating the data. After 2 years of hard work our team came with a wonderful online school management system, which reduce all the manual work transaction and provide you best software for schools. 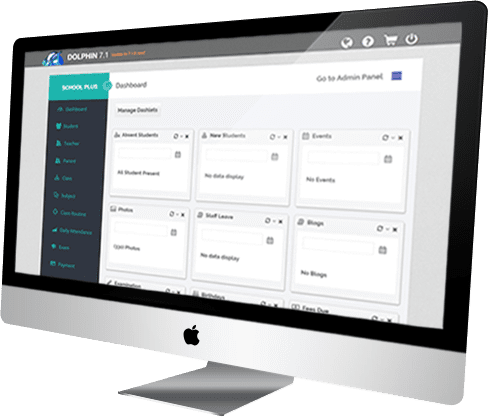 School Plus - Online school management software, we completely divide this application into various modules whose functionalities are performing according to the respective department. This will help user right from the beginning of managing admission, attendance, students, timetable etc. 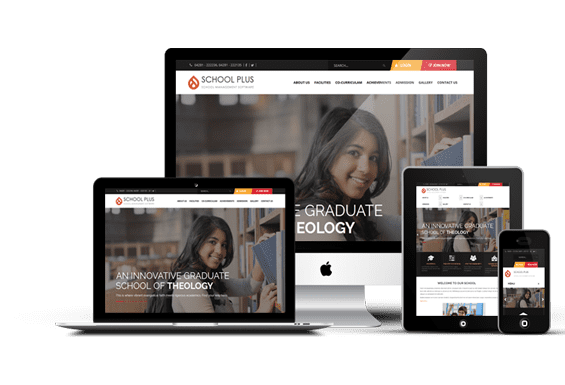 School Plus - An user-friendly school management software in India that loved by the administrators, which can handle by a novice internet surfer. One of the best school management software to manage all kind of procedures and operations related to any school. The best platform is to migrate towards smart school experience, which helps everyone to connect through the eschool app. School Plus - A hassle free cloud based school ERP software, will provide you a clear idea about school management erp. Our development team comes with a cloud based solutions which supports some of new technology and features such as – payment gateway, mobile connector (iOS and android), chats, Maps, unique ID, notification etc.Our motto is to provide school erp software across the India. They need to adopt the cloud and automated school management erp software for easing their process. It has specific modules for each and every department, so that the school administrator can run the institution smoothly and effectively. Let’s get manage, organize and connect the school activities using our school app. This web based platform designed for android and iOS devices, SchoolPlus eschool app is a revolutionary tool for all the institution. 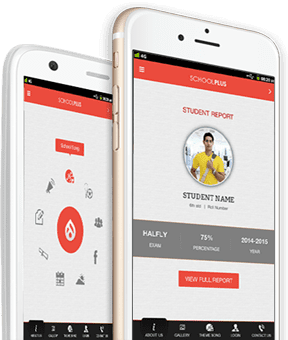 BseTec school mobile app put an end to paperwork; administrator can send all the necessary stuffs related to students and parents on just one tab. Admin has a separate login credential to access and manage the admin page. Teacher dashboard plays an important role as crucial operations are performed. Parents who are busy and find it hard to reach the school to get details. In this module, the students can login into their account and access personal. With comprehensive fee collection system, admin can upload fees parents. It supports grading systems like ICSE,GPA and like effortlessly. The teachers can record the attendance of a student,attendance required. All inclusive students' attendance record can be easily maintained with the School app. "School Plus pulled it all together for us. We have been able to switch to an impressive smart school, within no time." "School plus is an enormous value to schools, committed and dedicated to enhance the quality of the education, performance, communication and reputation."